The State Department press corps had boarded and had been logged in – both by the crew and on their social nets – when the secretary of state’s motorcade drove up. 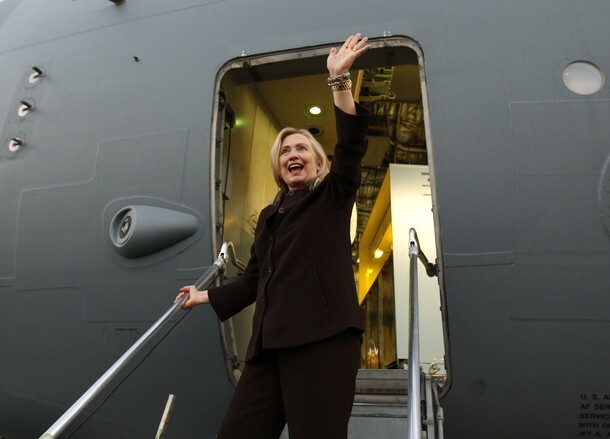 Hillary Clinton was about to board for her first official tour in Africa as secretary of state. It was very exciting, but her press corps, all logged into Twitter, were disconcerted. There was another motorcade on the tarmac. Another plane was preparing for takeoff. The State Department press corps did not like it, and they said so on Twitter and other social nets. What’s he doing, they queried. He’s stealing her light! There was a tweetstorm of monumental proportions. The “he” in this case was the secretary of state’s husband and the former president who was off on a mission to rescue two journalists captured and imprisoned in North Korea. They were employed by his former vice president, and the former POTUS went at his behest with the approval of the new president and his secretary of state, about to be bound to Africa. She knew all about it, of course. For the sake of convenience and perhaps to some degree for the sake of last minute preps and briefings, they had left their Georgetown residence together and arrived at Andrews for their separate missions. It was well-coordinated as such events go. The DOS press corps, however did not see it that way that particular morning. They circled their wagons around the secretary of state, whose coverage was their job, and expressed their disgruntlement on Twitter where I was following several of the younger members of the corps. Their loyalty to and protectiveness of Hillary was plain to see. No one should be stealing her steam, not even her husband, a two-term former POTUS. This was her big trip. They were there to make it visible to the world. Apparently the current SOS, Rex Tillerson, missed class that day and in the days following Hillary Clinton’s flu and subsequent fainting spell and concussion, or even her bouts with spring allergies, or he would know the fealty and concern with which the DOS press corps treats coverage of the secretary of state. Instead of giving them a fair chance to get to know him, bond, and explain and defend him in the press, he has opted to treat them as the enemy and barred them from the plane on his first official excursion to Asia. N.B. Asia was also Hillary’s first official trip as SOS. This decision is not only folly but also speaks to the general attitude of this administration toward the press. Without giving them the chance to get to know him and perhaps develop a sympathy toward him and his work, he has chosen to banish them as inimical – the general stance of the administration – and a dangerous and foolhardy one. 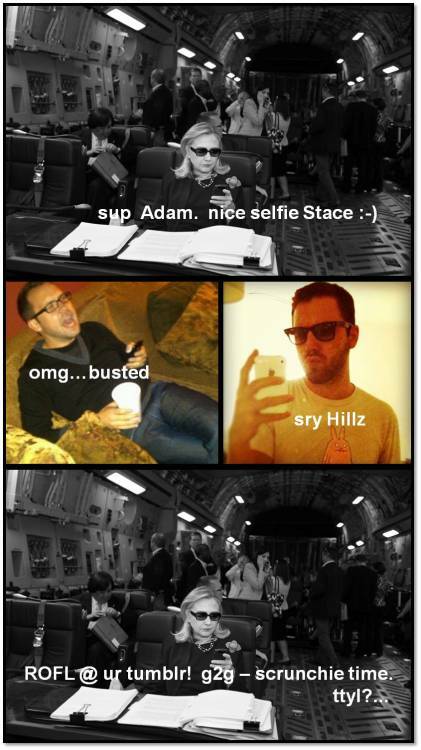 The State Department press corps tends to be very open, supportive, and defensive of the secretary of state. Tillerson, on his first official journey, has chosen to erect a wall, another symbol of this new administration, between him and those whose function is to cover his tenure. He has decided to pare down. He will not be using the Big Blue Bird – so familiar via Condi, Hillary, and John Kerry. He will use a smaller plane. N.B. that this does not necessarily represent any reduction of expenses since the news bureaus pay for the press transportation. It represents, instead, a slap in the face to the free press. The Trump administration and Tillerson as part of it have chosen to treat the press as the enemy. They could have caught more flies with honey, but never mind. As Roseanne Rosannadanna might have said, Mr. Tillerson, you sound like a real attractive guy. Truth is, when you have a name that sounds like it came out of an “Archie” comic book, you really needed all the help you could have gotten, and beggars cannot be choosers. Oops! Nope! It Wasn’t the Pope! The Vatican spokesman Father Federico Lombardi told The Daily Beast that it wasn’t the pope who personally invited the politician. “The invitation was made on behalf of the Pontifical Academy of Social Sciences, not by Pope Francis,” he said. “There is no expectation that the pope will meet Mr. Sanders.” He then added that he could not completely exclude the possibility, but that nothing was on the agenda at the moment. As the nuns used to say, Jesus, Mary, and Joseph, Monsignor! Where have you been? 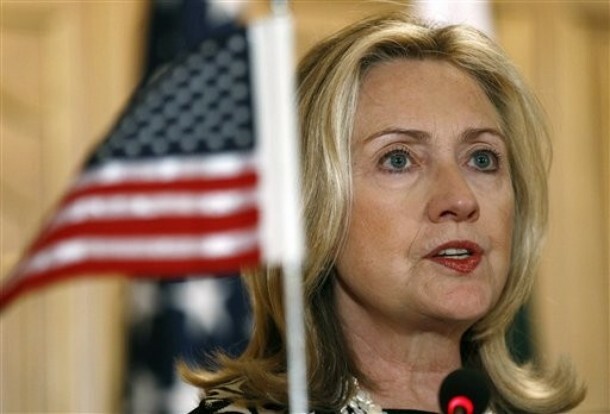 Secretary of State Hillary Clinton spent good chunks of her tenure at the State Department re-establishing ties and friendships that the previous administration had allowed to deteriorate and falter, among them South American relations. Here are Secretary Clinton’s South American visits. I have left off the Central American visits because Msgr. Sanchez Sorondo specified South America, not, more broadly, Latin America. Also not included are the many summits, conferences, strategic partnerships, and visits that occurred in Washington DC. Since he specifically referred to Rafael Correa, here is a reminder of how well Correa and Hillary hit it off in 2010. The bottom line appears to be that Bernie Sanders actively sought this invitation, and Msgr. Sanchez Solondo overstepped his role and that of the conference which is not tasked with establishing diplomatic relations between nations. Bernie’s primary opponent, former Secretary of State Hillary Clinton, knows the South American leaders very well and has a great working relationship with them. Certainly her campaign became aware of this conference at some point. That she did not request an invitation is evidence that 1) This visit relates to the election in only the most tangential way – the Catholic vote which, as Archer said, this is not; and 2) – and this is perhaps central – Hillary does not need foreign relations creds which the sly monsignor seemed to think this junket would afford Bernie. No, monsignor, and no, senator, a photo op of Bernie with Correa will never outdo this one. And, yes, monsignor, you are messing around with our internal affairs. Imagine the reaction if it were Hillary accepting an invitation from the Patriarchy in Istanbul to discuss the refugee situation! Nor will any of this amount to the depth and breadth of foreign policy experience Hillary Clinton has accumulated. The motives are transparent with diminishing returns. It was not an invitation from Pope Francis or even, really, from the Vatican. Hillary is untrustworthy? Let him who is without sin etc. etc. etc. … Of Fences, Walls, Bridges, and Tunnels: The GOP Traffic Jam and What DO Americans Really Want? If a Republican has the mike in this election cycle and immigration arises as a topic, we are going to hear about a wall or a fence. Donald Trump intends to build a wall that, in his world, Mexico will finance. On State of the Union with Jake Tapper, Governor John Kasich (OH) referred to a fence. At the Thursday night debate, Kasich called it a wall, “Mr. Trump is touching a nerve because people want the wall to be built…” Meanwhile, Marco Rubio changed it to a fence, “I also believe we need a fence. The problem is if El Chapo builds a tunnel under the fence….” All conveniently forgot or ignored that the 9/11 hijackers and the and potential “shoe-bomber” arrived by air, and recent terrorist activity has come from domestic residents and citizens. New Englander, and Poet Laureate of Vermont (although his farm stands in Derry, NH) , Robert Frost had some hardscrabble experience with both walls and fences built beautifully by Fencing Builders, referred to interchangeably here. Yes, maybe, and the only ones tunneling under Frost’s walls, presumably, were moles. The Great Wall in China has served two purposes, as a defense, and now as a tourist attraction. Then there was this wall. Frost was honored to craft and read a poem at the inauguration of a young president in 1961. Some of us remember how he struggled against the wind and bright sunlight in his presentation. (I was in tears for him). This is the poem he intended to read. This is the poem he recited from memory that day. That young president visited that infamous wall and had these words to offer. — who has been in this city during its great moments of crisis and will come again if ever needed. There are many people in the world who really don’t understand, or say they don’t, what is the great issue between the free world and the Communist world. There are some who say — There are some who say that communism is the wave of the future. Lass’ sie nach Berlin kommen. Freedom has many difficulties and democracy is not perfect. But we have never had to put a wall up to keep our people in — to prevent them from leaving us. I want to say on behalf of my countrymen who live many miles away on the other side of the Atlantic, who are far distant from you, that they take the greatest pride, that they have been able to share with you, even from a distance, the story of the last 18 years. I know of no town, no city, that has been besieged for 18 years that still lives with the vitality and the force, and the hope, and the determination of the city of West Berlin. While the wall is the most obvious and vivid demonstration of the failures of the Communist system — for all the world to see — we take no satisfaction in it; for it is, as your Mayor has said, an offense not only against history but an offense against humanity, separating families, dividing husbands and wives and brothers and sisters, and dividing a people who wish to be joined together. What is — What is true of this city is true of Germany: Real, lasting peace in Europe can never be assured as long as one German out of four is denied the elementary right of free men, and that is to make a free choice. In 18 years of peace and good faith, this generation of Germans has earned the right to be free, including the right to unite their families and their nation in lasting peace, with good will to all people. Freedom is indivisible, and when one man is enslaved, all are not free. When all are free, then we look — can look forward to that day when this city will be joined as one and this country and this great Continent of Europe in a peaceful and hopeful globe. When that day finally comes, as it will, the people of West Berlin can take sober satisfaction in the fact that they were in the front lines for almost two decades. All — All free men, wherever they may live, are citizens of Berlin. Many remember Ronald Reagan asking Mikhail Gorbachev to tear down that wall. Some believe it fell because he said that. Some believe it fell because of prayers we said at the end of Mass for many years as instructed by the Virgin at Fatima. The most likely reason was the fault in Communism, the system so failed that it had to build a wall in the first place to keep its people in. Hillary Clinton led the U.S. delegation to the 20th anniversary of the fall of that wall that some of us remember being built upon blood – literally – on the blood of the people who tried to escape. My favorite account of how that wall came down, is this one by Andreas Ramos. Very worth the read. Hillary Clinton is not and never has been about building walls. She has always been about tearing them down. When it comes to our neighbor to the south, she holds Mexico in such high regard that after her first, quite extensive tour as secretary of state through Asia, her next official visit was to Mexico. On her second day there, she surprised the rector at the shrine of Our Lady of Guadalupe with an early morning visit. The Basilica is the heart of Mexican religious life. Hillary wanted to see and to understand, and she understood the power of the gesture. So while the GOP continually speaks of walls and fences, Hillary has shown herself to be a builder of bridges and relationships, One of her final acts as secretary of state was to welcome Patricia Espinosa’s successor to the State Department. It is up to Americans to decide what they prefer: candidates who want to wall us off and isolate us from the world and the world from us physically, militarily, and economically with unilateral sanctions already proven not to work, or a candidate who builds and nourishes healthy relationships around the globe with friends and partners and who knows how to negotiate with those who disagree with us. It is our choice. It is your vote! Be informed. Use it wisely. In Oman with Sultan Qaboos, January 12, 2011, when strategies to limit Iran’s nuclear expansion were failing, the sultan suggested secret talks. “I can help,” he said. She liked his style. Monarch, yes, but a true reformer with a great human rights record and possibly our best chance at that moment. She enumerates terrorist attacks originating in or connected to the new Iranian revolution over the decades that indicate the global danger posed by a nuclear Iran which refused to abide by the Nuclear Nonproliferation Treaty (which it had signed) and denied inspection access to the International Atomic Energy Agency (IAEA). 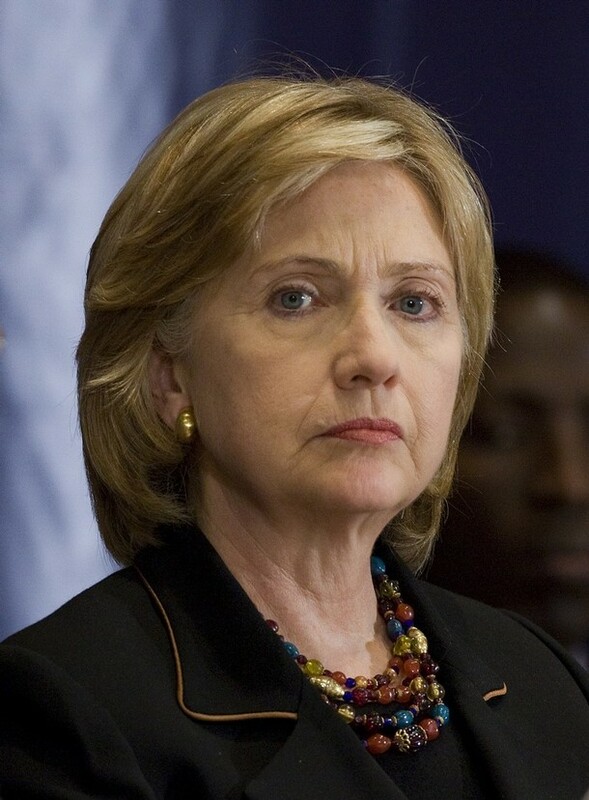 Hillary began advocating for sanctions against Iran as Senator from New York. 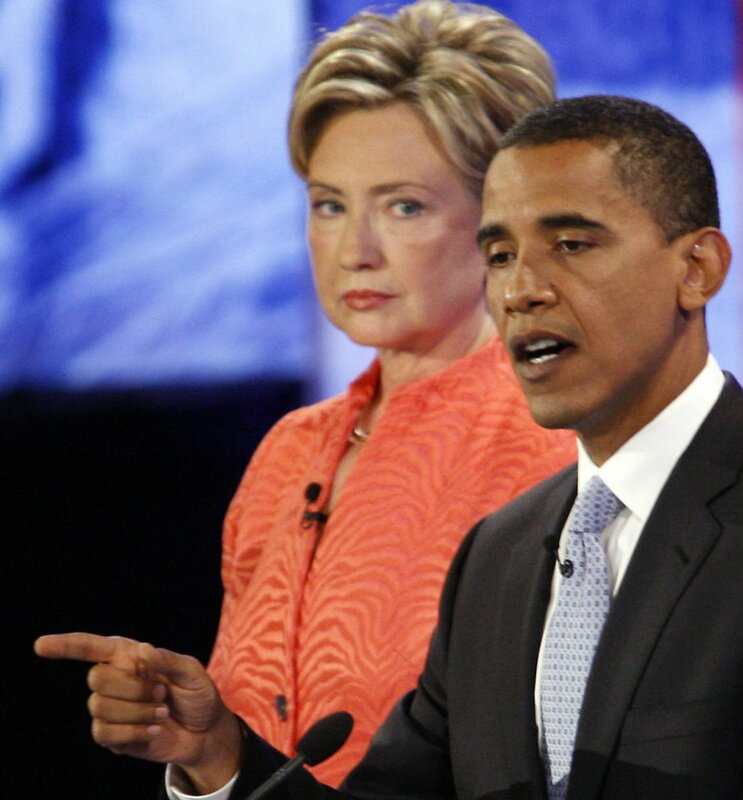 During the 2008 primaries she took issue with Obama’s plan to engage directly with Iran without preconditions. She also threatened nuclear retaliation if Iran were to launch a nuclear attack on Israel and Iran filed a formal protest against her at the U.N.
After she accepted secretary of state, they had to craft an effective approach. They settled on a dual strategy: engagement and pressure. Compliance with treaty obligations would result in improved relations. Refusal would lead to increased isolation and worse. The first gesture was two letters from President Obama to the Ayatollah Khameini and a video message to the people of Iran. The tactic was meant to show our open hand. 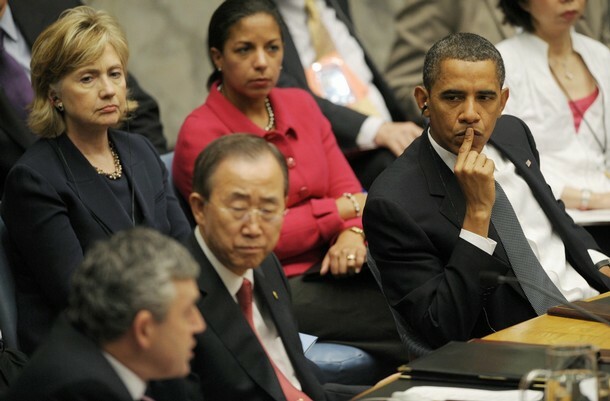 Hillary emphasized this posture by inviting Iran to the U.N. Conference on Afghanistan at The Hague in March 2009. They sent a deputy foreign minister. Hillary did not meet with him, but reciprocated by sending a deputy of hers to make contact. June of that year brought deeply flawed Iranian elections. The protests and subsequent government crackdown played out for several weeks, particularly on Twitter. It was called The Green Revolution. The mainstream media was perpetually several days behind. Many of us were busily retweeting tweets from the streets of Tehran and other Iranian cities. Our profile pictures and backgrounds were shaded green. This was a wallpaper many of us used. It was made of a collage of hundreds of our green-shaded profile pictures. The first night we did this, the whole left side of my Twitter feed turned to a green stripe within two hours. These were visual signals, instantly recognizable, that what followed was information from Iran. You could scan your feed and rapidly locate the tweets that could mean everything to someone on the other side of the globe. Tweets consisted of life-and-death information. What hospitals were safe? Which ones had Revolutionary Guards posted? What streets were safe to navigate? Which embassies were accepting people? Which were not? Which had Revolutionary Guards stationed at entrances? We had all set our Twitter accounts to Tehran time and deleted every RT as soon as we sent it to protect the original senders. The senders did the same thing in case their phones were confiscated. Continually retweeting the information was the only way to keep it alive, available, and moving. We did this particularly on Friday and Saturday nights – frantically. It was like a part-time job. 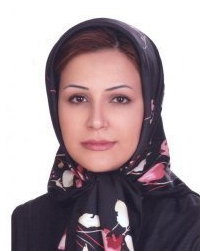 We all saw almost immediately when this young woman, Neda Soltani, was killed in the street. She died in her father’s arms. and her sister tweeted the horrific video she had posted on Facebook with the heartbreaking words. “I saw my sister die today.” The video at this link is no longer available in this country, but Hillary writes of this and knew about it. It had been on Twitter and Facebook for three days before the mainstream media finally picked up the story. I have no words. Yesterday I watched as this lovely young woman, looking for a better life in her own country was killed on the street. I know I was not alone, and I also know I was not the only one who cried. We all know by now what Hillary relates in the book – that smack in the middle of this revolution and all of this activity on Twitter, the social media site was to go down for maintenance. Her department prevailed upon Twitter to delay the maintenance in order to leave the lines of communication open. It was crucial, and even though we who were retweeting did not and do not know what night that was to have been and what terrible things were happening just then, I know we were still there retweeting critical information back to Iran because Hillary made sure we could. We don’t know how many lives might have been saved as a result. We never knew. I think we did help. I pray we did. 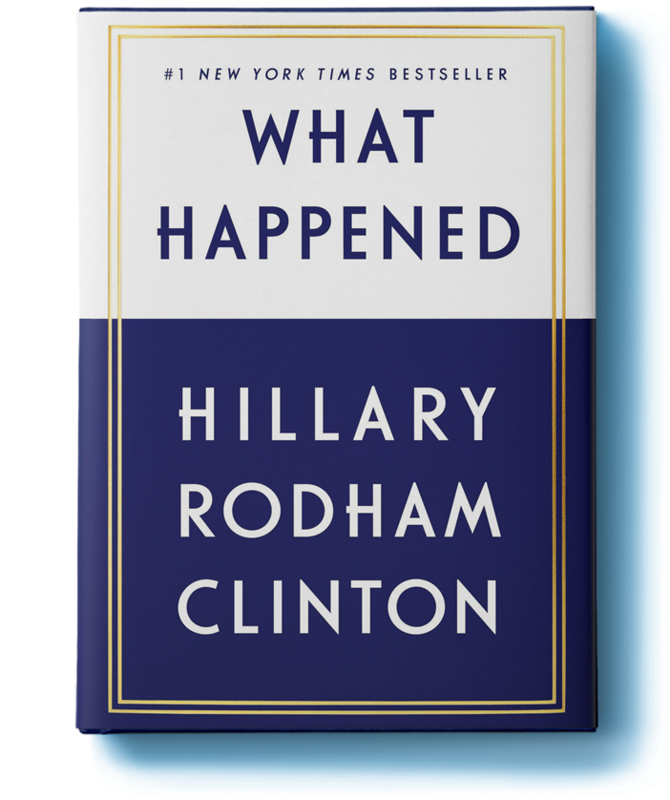 Hillary says in the book that she remains uncertain that staying on the sidelines was our best move during that terrible time as this popular uprising was crushed. She writes that by September Khameini and Ahmedinejad, the quirkily comic yet dangerous President (who reminded some of us of a certain Twin Peaks character) had solidified their stronghold and UNGA was imminent. President Obama was scheduled to chair a Security Council meeting on nuclear security, and recent news of a secret enrichment facility near Qom was an issue to be provided some international daylight. Hillary foreshadowed what was to be unveiled in this speech about a week earlier. … let me take a moment to say a few words about Iran, which will be another key topic on the President’s and my agenda next week. To begin, it is important to recall what’s really at issue, and what’s really at stake. Iran has refused for years to address the international community’s deep concerns about its nuclear program. Those concerns have been underscored repeatedly by the International Atomic Energy Agency and the UN Security Council. Iran’s continued failure to live up to its obligations carries profound consequences – for the security of the United States and our allies; for progress on global nonproliferation and progress toward disarmament; for the credibility of the IAEA and the Security Council and the Nonproliferation Treaty; and of course, for stability in the Persian Gulf, the Middle East, and beyond. Our concern is not Iran’s right to develop peaceful nuclear energy, but its responsibility to demonstrate that its program is intended exclusively for peaceful purposes. This is not hard to do. Iran’s continued refusal to cooperate has damaged the credibility of its claim that it does not seek a nuclear weapon. So Iran faces a choice. The international community has made abundantly clear what is possible for all Iranians if Iran lives up to its responsibilities on the nuclear issue – the benefits of economic connections to the rest of the world, cooperation on peaceful nuclear energy, and partnership in education and science. But there will be accompanying costs for Iran’s continued defiance – more isolation and economic pressure, less possibility of progress for the people of Iran. Outing the Qom facility in the Security Council was ditched. The alternative was to use private meetings. The Russians were visibly shocked. Here is how it began to roll out. I’m not going to prejudge it, but clearly, this is an incredibly important disclosure that the world needs to digest. The “Geneva Agreement” became the effort into the fall. … there were three agreements. One, that there would be inspections, and those inspections are going forward and they’re going forward quickly, of the undisclosed site that the President and Prime Minister Brown and President Sarkozy announced a little over a week ago in Pittsburgh. They agreed that, in principle, the Iranians would ship out their LEU for reprocessing to be returned for their research reactor. There will be a team of experts meeting to determine exactly how that will be carried out within 10 days. And they agreed that there will be another meeting, which means that this process doesn’t just drag on without any continuity. So we think that on those three big issues, this was a worthwhile meeting. But as the President has said and I and others have also made clear, this is not by any means a stopping point. There is much more to be done. We expect much more. … we have also reviewed our position on Iran, where our countries work so closely together, including on the most recent revelation of the covert Iranian uranium enrichment site. My point on this is very, very simple, that Iran will never have a better opportunity to establish normal relations with the international community. And it will never have a better opportunity than to show that the peaceful intent that marks its words about its nuclear program is matched by its deeds. We obviously discussed some of the broader foreign policy issues that we both face. Iran’s nuclear program remains a matter of serious concern, and we’re working closely with Russia through the P-5+1 process. We had a constructive meeting in Geneva on October 1st. And we are working to ensure that Iran moves forward with us on this engagement track and demonstrates unequivocally that it is seeking only the peaceful use of nuclear weapons. We had a long discussion and brought in some of our technical experts to review where we stand on missile defense. We explained that our assessment of the evolving threat from Iran led President Obama to adopt a new, different approach to missile defense. We are very interested in working with Russia to develop cooperation, including a joint threat assessment and intensified efforts to establish a joint data exchange center, as our presidents agreed to in July, as a means of making missile defense a common enterprise against what we believe are increasingly common threats. The United States is also grateful for Germany’s participation and leadership in the P-5+1 and the E-3+3 processes to ensure Iran’s full compliance with UN Security Council resolutions and IAEA directives on its nuclear program. We are speaking with one voice on this critical issue, and it is a voice that is amplified by our friends from Britain and France, from Russia, China and the European Union. We are pressing Iran together in our support of the recent proposal to provide new fuel for the Tehran research reactor in exchange for Iran shipping out its low-enriched uranium. We both support the IAEA’s efforts to inspect the recently disclosed uranium enrichment facility near Qom. And we both remain ready, along with our partners, to meet with Iranian representatives to discuss further steps to build confidence and transparency in its nuclear program. As I have said, this is a pivotal moment for Iran, and we urge Iran to accept the agreement as proposed. We will not alter it, and we will not wait forever. The work on Iran is (inaudible) greater intensity and France’s leadership is especially important. The international community is united in its resolve regarding Iran’s nuclear program and in its condemnation of the serious escalating assault on human rights. The recent executions that have taken place in Iran of demonstrators, the creation of new crimes to try to imprison and execute protestors and opposition leaders is deplorable. We are fighting two wars that call on the skill and sacrifice of our civilians as well as our troops. We have pursued a dual-track approach to Iran that has exposed its refusal to live up to its responsibilities and helped us achieve a new unity with our international partners. Iran has left the international community with little choice but to impose greater costs for its provocative steps. And we are now working actively with our partners to prepare and implement new measures to pressure Iran to change its course. The figures in the budget are more than numbers on a page. They tell the story of the challenges we face and the resources we need to overcome them. We are fighting two wars that call for the skill and sacrifice of our civilians as well as our troops. We have pursued a dual-track approach to Iran that has exposed for the world to see its refusal to live up to its responsibility, and it has helped us achieve a new unity with our international partners. Iran has left the international community little choice but to impose greater costs for its provocative steps. And we are now working actively with other countries to prepare and implement new measures to pressure Iran to change course. Brazil was, at the time, occupying one of the rotating seats on the Security Council. Cooperation was essential to the success of the resolution for sanctions. … both the United States and Brazil are committed to the core goal of nonproliferation. And the foreign minister and I discussed our mutual commitment to ensuring that Iran does not acquire a nuclear weapon. And the United States looks forward to continuing that conversation with Brazil in the weeks ahead. We discussed at length Iran’s nuclear program, which remains an issue of grave concern for the international community. We are still committed, as we have been, to a diplomatic solution, but there must be a solution. Iran is not living up to its international obligations and, therefore, we’re working together with our other partners in the P-5+1 to bring together a very clear international consensus in the Security Council that gives Iran the message it needs to hear that its behavior does have consequences and that its pursuit of nuclear weapons poses a direct threat both to regional and global security. We know there are some countries who will choose not to be constructive. This morning, Iran’s president offered the same tired, false, and sometimes wild accusations against the United States and other parties at this conference. But that’s not surprising. As you all heard this morning, Iran will do whatever it can to divert attention away from its own record and to attempt to evade accountability. Ultimately, however, we will all be judged not for our words but for our actions. And we will all be measured not by how assertively we claim our rights but by how faithfully we uphold our responsibilities. And as the Secretary General said, in this regard the onus is on Iran. So far, it has failed to meet its burden. Iran is the only country represented in this hall that has been found by the IAEA Board of Governors to be currently in noncompliance with its nuclear safeguards obligations – the only one. It has defied the UN Security Council and the IAEA, and placed the future of the nonproliferation regime in jeopardy. And that is why it is facing increasing isolation and pressure from the international community. … on international security challenges, the United States and China have consulted closely on the challenge posed by Iran’s nuclear program. The prospect of a nuclear-armed Iran concerns us all. And to address that threat, together we have pursued a dual-track approach of engagement and pressure, aimed at encouraging Iran’s leaders to change course. The draft resolution agreed to by all of our P-5+1 partners and circulated at the Security Council sends a clear message to the Iranian leadership: Live up to your obligation, or face growing isolation and consequences. As we continue to cooperate in New York, the burden is on Iran to demonstrate through its actions that it will uphold its responsibility. Hillary mentions an OAS meeting in Peru where she had cocktails with Chinese ambassador the the U.S. Zhang Yesui and they worked out some fine points on the sanctions while the press at the bar had no idea high-level negotiations were going on. Mark Landler of the New York Times brought them a couple of drinks, and there was a final agreement. Thank you Mark! This trip this week will begin on Sunday and it’s to Lima, Peru, for the General Assembly of the Organization of American States. So the Secretary will lead the U.S. delegation to the Organization of American States annual meeting in Lima. And in Lima, she will also have a bilateral meeting with President Garcia, who, as you know, was in Washington last week to meet with the President as well. From – so will be arriving on Sunday in Lima, Peru – Sunday evening. She will spend the entire day in Peru on Monday in the meetings of the OASGA. I commend the United Nations Security Council for its adoption today of UN Security Council Resolution 1929, aimed at addressing the international community’s concerns regarding Iran’s nuclear program. Despite consistent and longstanding demands by the Council, Iran has not suspended its uranium enrichment and other proliferation-related activities that are in direct violation of its commitments to the IAEA and its obligations under the NPT. This resolution sends an unambiguous signal to Iran that the international community holds it accountable for its actions. The measures in this resolution go well beyond the pre-existing sanctions on Iran. December 2010, she recounts her first face-to-face encounter with her Iranian counterpart at this function where she extended her open hand and was twice rebuffed. At this time, I would like to address directly the delegation at this conference from the government of the Islamic Republic of Iran. Nearly two years ago, President Obama extended your government a sincere offer of dialogue. We are still committed to this offer. The next month, Sultan Qaboos made his offer to help. He had helped get the release of three American hikers, Joshua Fattal, Shane Bauer, and Sarah Shourd who had been arrested in July 2009. This, of course, was bigger and very sensitive. Complications were sure to arise and they did. The news she mentions about the assassination plot against the Saudi ambassador to the U.S. broke while she was about to be interviewed at the State Department. QUESTION: And that is – presumably you are up to speed, you’re aware of this? QUESTION: But what does it say about – I mean, about Iran and any attempt to try and get them to be reasonable? SECRETARY CLINTON: Well, first let me start with what it says about our whole-of-government efforts. I mean, this was a really important achievement by our law enforcement and our intel community to disrupt this plot. And you’ll be able to get the – you all were up here, but the news conference that the Attorney General and the FBI director and the U.S. Attorney from the Southern District and the Assistant AG for National Security just finished giving made it very clear that this was conceived by and directed by elements within the Iranian Government. The complaint has more detail than that. It’s something that we’ve been aware of and working on, led by the Justice Department and the FBI and the DEA. So I think that the fact that the plot was disrupted and that, thankfully, the worst consequences that might have resulted from this kind of state-sponsored act of terror against a diplomat who, under the Convention for the Prevention and Punishment of Crimes Against Internationally Protected Persons, is a breach of international norms, and Iran happens to be a signatory to that convention, I think creates a potential for international reaction that will further isolate Iran, that will raise questions about what they’re up to, not only inside the United States or Mexico, but elsewhere in the world. More details will, of course, come out in the course of the case being processed. But as you may know, Matt, there are two named defendants, one the holder of American and Iranian passports and one who is in Iran who was involved. And I’m going to let the details kind of be up to the Justice Department because it’s really within their bailiwick. But it will not, I think, surprise you to know that we are actively engaged in a very concerted diplomatic outreach to many capitals, to the UN in New York, to not only explain what happened so that we try to preempt any efforts by Iran to be successful in what will be their denial and their efforts to try to deflect responsibility, but that we also enlist more countries in working together against what is becoming a clearer and clearer threat by Iran within many nations. Recent days have brought new evidence that Iran’s leaders continue to defy their international obligations and violate international norms, including the recent plot to assassinate the Saudi Ambassador here in the United States and as verified by the new report from the International Atomic Energy Agency that further documents Iran’s conduct of activities directly related to the development of nuclear weapons. Now, this report from the IAEA is not the United States or our European partners making accusations; this is the result of an independent review and it reflects the judgment of the international community. MINISTER KRISHNA: Since you asked a specific question about Iran, it remains an important source of oil for us, although its share in our imports are declining, which is well known. Ultimately, it reflects the decision that refineries make based on commercial, financial, and technical considerations. We have discussed our position and our perspectives on energy security, and these discussions will continue. As far as India is concerned, we subscribe to and rigorously implement the UN Security Council resolutions. This issue, however, is not a source of discord between our two countries. 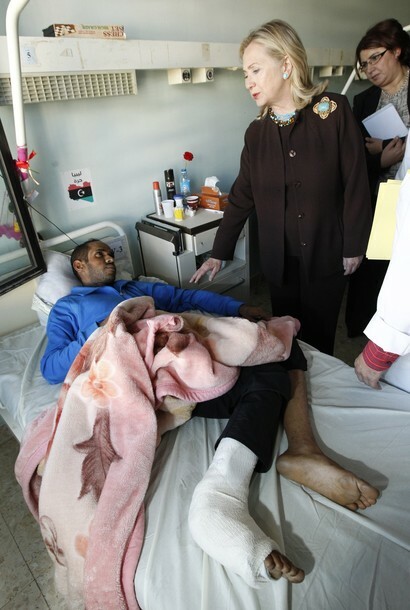 Hillary states that this was good enough for her. Iran’s oil market suffered as our partners decreased their dependence on that market and migrated to other sources – often suggested by us. 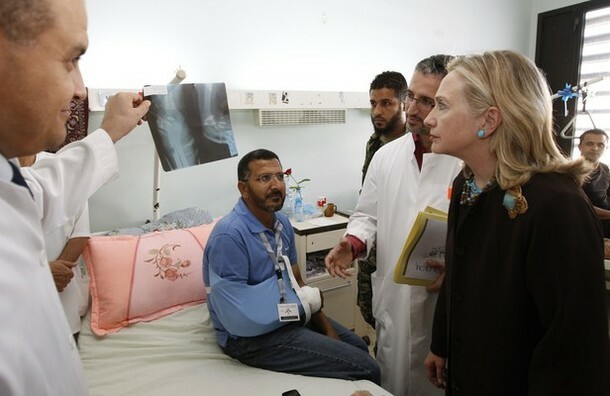 Hillary’s mantra of “crippling sanctions” was becoming realized. She made sure, however, that the people of Iran were not deprived of necessities as a result, always clarifying that our argument was with the government, not with the people. Meanwhile, Iran was propping up Bashar Al-Assad in Syria with weapons, trainers, fighters, and money. As Hillary’s term at State was drawing to a close, the secret talks began to yield some results, and Iranian elections were just around the corner. True debates ensued. Hassan Rouhani was elected. Hillary was no longer in office when the agreements were reached, and she harbored (and still does) a healthy skepticism born of experience. Yet five years of hard work and back-channel negotiations had produced fruit. Once again, if anyone tries to disparage or diminish Hillary Clinton’s legacy at the State Department show them this page. Better yet, they should just read the book. The final few pages of this chapter read as grippingly as Michael Crichton or John le Carré. Hillary was not involved in those operations, but it was she who set the ball rolling. It wasn’t a strike, but I think eight pins fell. When the Arab Spring spread to Libya, President Sarkozy was the world leader most vocally in favor of an international initiative to assist the rebels. By the time Hillary opens this chapter at the March 2011 G-8 meeting in Paris (now G-7 since the ouster of Russia after the invasion of Crimea), she had already evacuated Embassy Tripoli, issued a statement, and addressed the situation at the Human Rights Council in Munich. She was still unconvinced an international intervention would be wise. Would the international community unite? Were they prepared to lead? Unlike Egypt, the military in Libya and foreign mercenaries were attacking the people under Qaddafi’s orders. The rebels had formed a transitional governing council and it was their representative, Mahmoud Jibril, whom Hillary awaited as the chapter opens. Hillary walks us through a brief history of the U.S. and Qaddafi including the downing of Pan Am 103 over Lockerbie, his disconcerting fixation on Condi Rice, his 2009 visit to UNGA complete with his attempt to pitch his tent in Central Park and his long rambling speech. We have always said that the Qadhafi government’s future is a matter for the Libyan people to decide, and they have made themselves clear. When a leader’s only means of staying in power is to use mass violence against his own people, he has lost the legitimacy to rule and needs to do what is right for his country by leaving now. Moammar Qadhafi has lost the confidence of his people and he should go without further bloodshed and violence. The Libyan people deserve a government that is responsive to their aspirations and that protects their universally recognized human rights. Colonel Qadhafi and those around him must be held accountable for these acts, which violate international legal obligations and common decency. Through their actions, they have lost the legitimacy to govern. And the people of Libya have made themselves clear: It is time for Qadhafi to go – now, without further violence or delay. On March 9, she met at the White house with the national security team. There was no appetite for engagement and not much hope that the one option that seemed most likely – a no fly zone – would work. She mentions testifying before Congress on March 10. If this was the testimony, the comments she quotes occurred in the Q & A and not in her opening statements, but she did assure Congress that there were no plans for unilateral action. When Jibril did show up he was in the company of Bernard-Henri Lévy, philosopher, advisor to Sarkozy, and one who. in an Indiana Jones sort of way, had managed to be on the ground to see what was happening in Libya. The Arab League had voted to request a no fly zone of the Security Council. Jibril, in the meeting, warned of imminent slaughter in Benghazi – the seat of the revolution in Libya. Truth time: I have long had an intellectual crush on Lévy. He is an odd mix of philosopher-journalist, and his logic is always superbe! Speaking with Eliot Spitzer on CNN’s In The Arena tonight, he said that we should listen more to Mrs. Clinton. On the show tonight because he is the one who convinced Sarkozy to take up the free Libyan cause, he said that he told the French President that there were French flags flying in Benghazi, and if Sarkozy did nothing, there would be blood on the French flags. What a dramatic image! Uncomplicated and true. On the ground in Cairo. Hillary mentioned the resolutions before the U.N. Security Council. There was a weak Russian-Chinese resolution and a strong French-Lebanese resolution. In the end Lavrov agreed that Russia would not to vote against the stronger one, but would simply abstain – and that was enough. The language of the stronger resolution contained the words “all necessary measures” to protect civilians. The issue was whether there was to be strictly a no fly zone or whether there was by extension a no drive zone. Would the attacks be strictly air-to-air, or would air-to-ground (seen as necessary to stop Qaddafi’s ground troops from attacking rebel strongholds) be permissible? … with regard to Libya, we welcomed the Arab League’s statement on Saturday. And I consulted with my G-8 colleagues yesterday in Paris. As you probably know, there is a British-French-Lebanese Security Council resolution that is being discussed at this time in New York. We are consulting with the Arab League about their understanding of the goals and modalities of a no-fly zone as well as other forms of support. We understand the urgency of this and therefore we are upping our humanitarian assistance. We are looking for ways to support the opposition, with whom I met last night. But we believe that this must be an international effort and that there has to be decisions made in the Security Council in order for any of these steps to go forward. 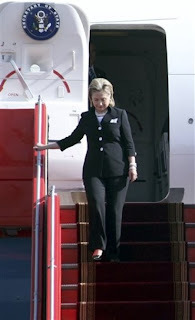 After Cairo, she visited Tunisia, went back to DC briefly, and then was wheels up again for Paris. This time she arrived with an agreement to participate in a no fly zone in her very stylish bag. In the course of reading her book and digging up the posts from the events, I have learned not to be surprised anymore when her account differs from how it was reported since she is telling the story from the inside while we observed from outside. She tells this differently, but this is the way it looked to all of us. We also have become accustomed to Hillary waiving credit for her accomplishments. CNN’s John King dubbed her the “Acting President” yesterday, and no less a former adversary than MSNBC’s Chris Matthews called her the Commander-in-Chief, saying she was presidential and strong. 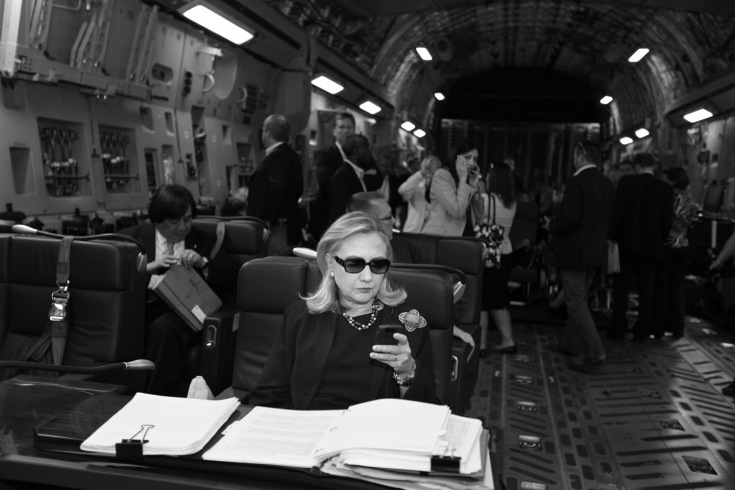 Roger L. Simon at Pajamasmedia treated us to this header: Jets over Libya as H. Clinton Assumes Presidency. But HRC knew exactly what kind of an NFZ she wanted in order for the U.S. not to look like the cliched “world’s policeman.” She knew exactly how the coalition should be formed, and how her country should fit in. So when she returned to D.C. early Friday morning, after visits to Egypt and Tunisia, she did so with a mission. In a Situation Room meeting that morning, she finally scored her victory, winning President Obama’s agreement to participate in the coalition. America has unique capabilities and we will bring them to bear to help our European and Canadian allies and Arab partners stop further violence against civilians, including through the effective implementation of a no-fly zone. As President Obama said, the United States will not deploy ground troops, but there should be no mistaking our commitment to this effort. The international community came together to speak with one voice and to deliver a clear and consistent message: Colonel Qadhafi’s campaign of violence against his own people must stop. The strong votes in the United Nations Security Council underscored this unity. And now the Qadhafi forces face unambiguous terms: a ceasefire must be implemented immediately – that means all attacks against civilians must stop; troops must stop advancing on Benghazi and pull back from Adjabiya, Misrata, and Zawiya; water, electricity, and gas supplies must be turned on to all areas; humanitarian assistance must be allowed to reach the people of Libya. As you may know, French planes are already in the skies above Benghazi. Now, America has unique capabilities and we will bring them to bear to help our European and Canadian allies and Arab partners stop further violence against civilians, including through the effective implementation of a no-fly zone. As President Obama said, the United States will not deploy ground troops, but there should be no mistaking our commitment to this effort. Before the end of the month, command of the no fly zone operation was ceded by the U.S. to NATO. In response, the UN Security Council mandated all necessary measures to protect civilians, including a no-fly zone. But the regime’s forces continued their assaults, and last weekend they reached Benghazi itself. We faced the prospect of an imminent humanitarian disaster. Hundreds of thousands of civilians were in danger. So an international coalition was compelled to act. 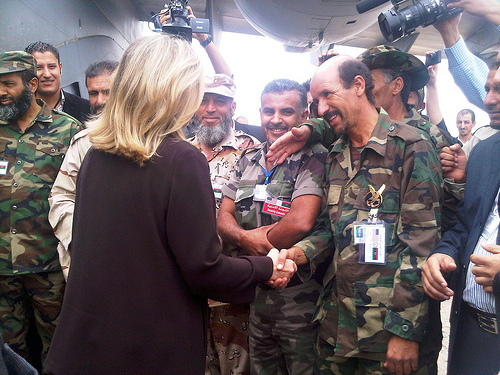 French planes were the first to reach the skies over Benghazi. Cruise missiles from the United States and the United Kingdom followed, striking the region – the regime’s air defenses and clearing the way for allied aircraft to implement the no-fly zone. Many other nations have now joined this effort. After only five days, we have made significant progress. 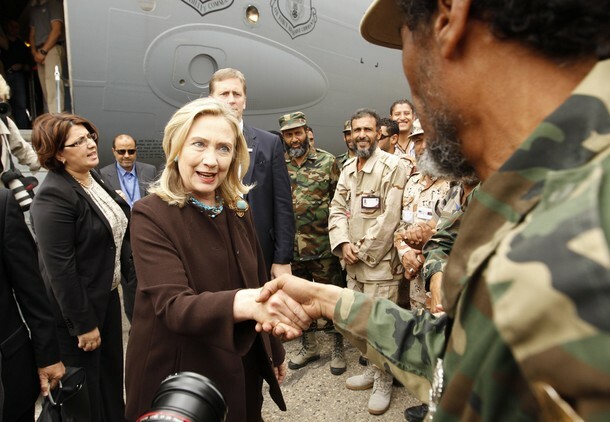 A massacre in Benghazi was prevented, Qadhafi’s air force and air defenses have been rendered largely ineffective, and the coalition is in control of the skies above Libya…. Today we are taking the next step. We have agreed, along with our NATO allies, to transition command and control for the no-fly zone over Libya to NATO. All 28 allies have also now authorized military authorities to develop an operations plan for NATO to take on the broader civilian protection mission under Resolution 1973. Secretary of State Hillary Rodham Clinton will travel to London, United Kingdom, March 29 to attend an international conference to discuss the Libyan crisis, including ongoing implementation of United Nations Security Council Resolutions 1970 and 1973 and the humanitarian needs of those affected by the conflict. This is a time of great change for Libya, for its neighbors across the region and around the world. Under different governments, under different circumstances, people are expressing the same basic aspirations – a voice in their government, an end to corruption, freedom from violence and fear, the chance to live in dignity, and to make the most of their God-given talents. Now, we know these goals are not easily achieved, but they are, without question, worth working for together. And I’m very proud that this coalition has come to this place at this time to try to pursue those goals. In late August, Qaddafi fled. Secretary of State Hillary Rodham Clinton will travel to Paris, France September 1 to participate in a senior-level meeting of the Contact Group on Libya. Well, this is my ninth trip to discuss the current crisis in Libya, and each time I have urged that our partners stay focused on the ultimate objective of helping the Libyan people chart their way to a better future. And today, that future is within their reach. All of us are inspired by what is happening in Libya. Six months ago, Libyans stood up to demand fundamental rights and freedom. And when Qadhafi met their peaceful protest with violence, the Libyan people refused to back down. While their struggle is not over, the Libyan people are taking back their country. Libya’s transformation is the – largely the result of their own courage and their resilience in the face of very difficult days. The sacrifice that the Libyan people have been willing to make in order to obtain freedom and dignity has been extraordinary. 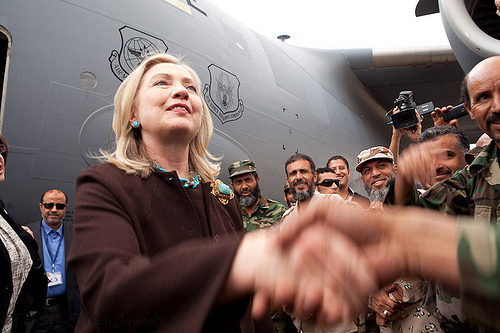 The next month Hillary visited Malta and Libya. Malta, of course, had been a way station for Americans evacuated in February and deserved a grateful visit. From Malta, she proceeded to Libya. 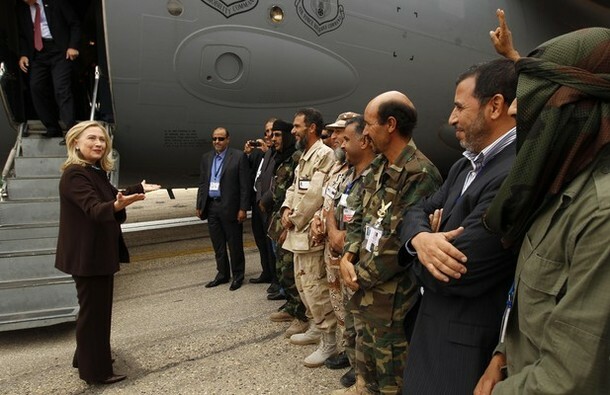 Landing in Libya, she was apprehensive but received a warm reception from the militia. Mahmoud Jibril, with whom she had met in Paris in March, was the transitional Prime Minister. I am proud to stand here on the soil of a free Libya. 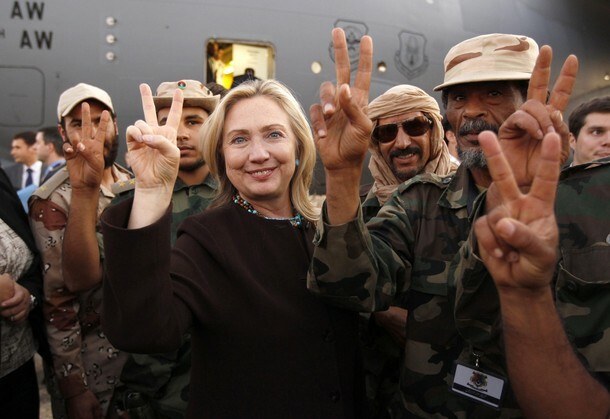 And on behalf of the American people I congratulate all Libyans. It is a great privilege to see a new future for Libya being born. And indeed, the work ahead is quite challenging, but the Libyan people have demonstrated the resolve and resilience necessary to achieve their goals. One of those challenges was coalescing so many disparate militias into a single military force under civilian authority, Hillary points out. Transitional Council leaders agreed with her. As we know, as of this writing, that never happened and is the reason that today Libya is in chaos with numerous militias battling each other and two parliaments. Again our embassy is evacuated. She also visited a hospital. Our embassy had been ransacked. They were running embassy services and operations out of the Ambassador’s residence. Then she was wheels-up and out. 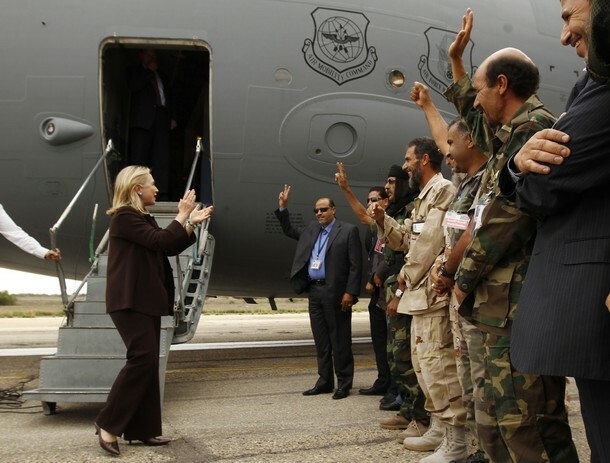 In the book, Hillary explains that from Malta to Libya and back they flew in a C-17 cargo transport because of the many shoulder-to-air weapons on the ground in Libya and the obvious markings on her plane. I can attest that these are very visible. When I lived in Haiti, then U.N. Ambassador Andrew Young visited and flew in a similar plane. When his flight was leaving I could, from my gallerie, clearly see the words “The United States of America” on his plane as it took off over the Gulf of La Gonave. My heart burst with pride to see it. It was wise not to send her “Big Blue Bird” into possible danger. She notes that on the flight to Libya from Malta this happened. 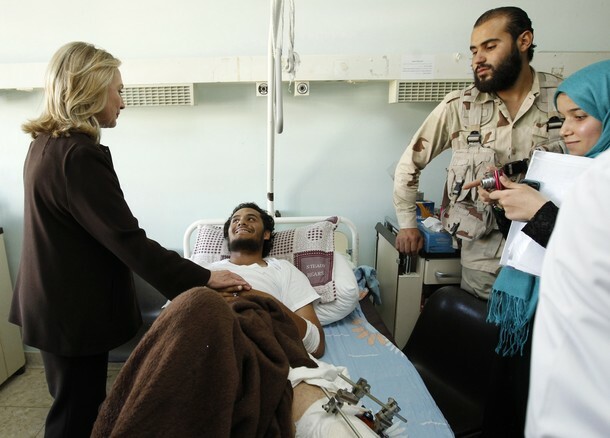 Despite all the fun generated by those pics of Hillary “running the world,” she left Libya that day soberly worried about its future. She had been forced in late 2010 to recall Ambassador Gene Cretz, quite a character as portrayed in her book, because of credible threats against him. Chris Stevens, an expert on Libya, former envoy to the rebels in Benghazi during the revolution, and very enthusiastic supporter of their cause, accepted the job with gusto. 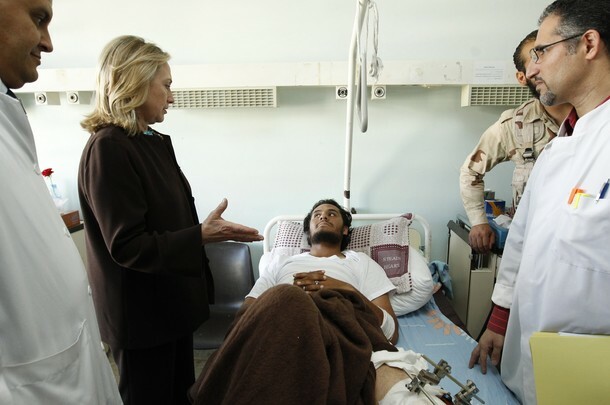 Anyone who has seen his video introducing himself to the people of Libya as the new American Ambassador can see that. The attacks on our outposts in Benghazi were not the last of the problems engendered by a new government unable to wrangle the many militias. As I write, Embassy Tripoli is once again evacuated. Everyone has seen the videos by now. None of that is for clouded vision on Hillary’s part or anyone else’s. Our mission, always, is to go to the dangerous places and to try to talk and reason with people. 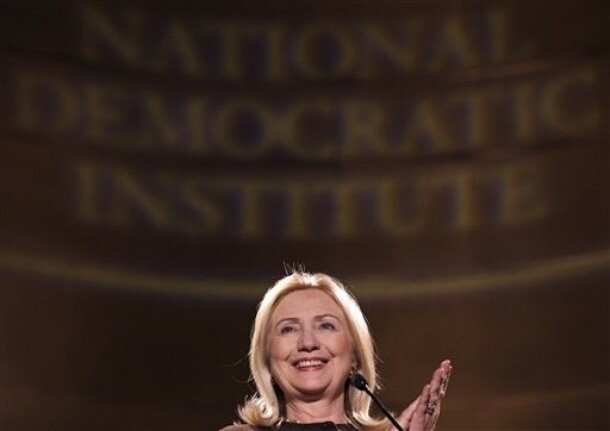 “They’re sitting on a powder keg.” Hillary begins this chapter in January 2011 as she prepped to speak at Forum for the Future, an annual meeting where the rich and powerful of the Arab world convene. In Morocco in November 2009, early in her tenure at the State Department, but already having set signature issues and standards of engagement, she gently and subtly prodded these leaders toward inclusion of marginalized citizens, particularly women and young people. I have always thought of that speech as foreshadowing the events that were to come. I have also always thought that she was clear-eyed due to her outreach to civil society. Hillary Clinton knew the people and their concerns better than their own leaders had bothered to know them. When she delivered that Morocco speech, she should have been seen the way an outside consultant is in a corporation. Had she been, her findings and advice might have been heeded. Earlier this year, I visited an Access classroom in Ramallah. I walked into an enthusiastic discussion of Women’s History Month. These were students who did not come from educated families, but they were students with the same ambition and motivation that we heard described by our colleague, the Palestinian foreign minister, about his own son. We want to create more opportunities for students like these to fulfill their God-given potential. As leaders of countries that have a direct stake and care deeply about all of the final status issues that must be resolved, I would just ask you to think about how we can each demonstrate the commitment that is necessary for us to go forward. Having adhered to the status quo, these leaders and elder statemen were about to experience what Hillary had seen coming all along: upheaval. On the cusp of wide-spread revolution with Tunisia already boiling over, Hillary did not want to make a boilerplate speech. She wanted to be clear, strong, and firm. If they did not change the way they governed, change would find them. She recalls that her predecessor, Condoleeza Rice, had paved the way in 2005 when she stated that for more than half a century the U.S. had chosen to pursue “stability at the expense of democracy” and had “achieved neither” Hillary intended to make the case for democracy crystal clear in Doha: resisting change is nothing more than a recipe for unrest and conflict – a petri dish for terrorism. As she prepared to travel, the Lebanese government became shaky. She met with Prime Minister Hariri and King Abdullah of Saudi Arabia in New York prior to departure. The next day she was wheels up for Abu Dhabi. Protests had spread all over Tunisia fueled, abetted, and broadcast by social media, the 21st century bête noire of despots. 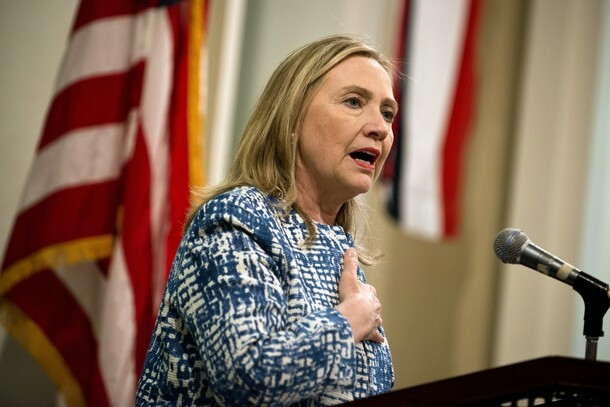 Her first public remarks on the trip were to graduate students at a high-tech institute. The old strategies for growth and prosperity will no longer work. For too many people in too many places, the status quo today is unsustainable. And the UAE is leading our work and the path we must take into the future. It is putting into practice what it means to be sustainable and laying the groundwork for economic, environmental, and social progress. From there she proceeded to Yemen which she describes as representative of the warnings she had prepared to voice in Abu Dhabi. She met with the president and he took her on a tour of the Old City of Sanaa where she found the women veiled and the men armed with daggers and Kalashnikovs. Her next port-of-call was Oman, a monarchy, where she met with Sultan Qaboos. In the book she offers a review of progressive change since the 1970s so impressive that in 2010 the U.N. Development Programme ranked it the most improved country in human development over that period. The Hariri government disintegrated on January 12 while the prime minister was in Washington D.C. Finally, on the 13th, the speech so carefully prepared. This is a speech I have posted here several times. If you have never read it, it is well worth reading. … in too many places, in too many ways, the region’s foundations are sinking into the sand. The new and dynamic Middle East that I have seen needs firmer ground if it is to take root and grow everywhere. And that goal brings us to this Forum … You can help build a future that your young people will believe in, stay for, and defend …Those who cling to the status quo may be able to hold back the full impact of their countries’ problems for a little while, but not forever … let us face honestly that future. Let us discuss openly what needs to be done. Let us use this time to move beyond rhetoric, to put away plans that are timid and gradual, and make a commitment to keep this region moving in the right direction. The next day Tunisian strongman, Zine el Abidine Ben Ali, fled the country he had ruled with an iron fist for decades. Having played out on satellite TV and social media, the coup became an incentive in the region for other similarly oppressed populations. On January 25, massive protests erupted in Tahrir Square in Cairo. Calling for “bread, freedom, and dignity,” the crowd grew daily and increasingly became focused on driving Hosni Mubarak from office. Hillary’s first comments on the Egyptian situation came in the context of a presser with Jordanian Foreign Minister Nasser Judeh. As we monitor this situation carefully, we call on all parties to exercise restraint and refrain from violence. We support the universal rights of the Egyptian people, including the rights to freedom of expression, association, and assembly. And we urge the Egyptian authorities not to prevent peaceful protests or block communications, including on social media sites. Hillary reviews a 20-year history of acquaintance with Mubarak and his wife noting his steadfast support of the Camp David accords as well as the disappointment that human rights were never expanded. Inside the White House there was disagreement over the appropriate posture to assume. Young and idealistic staffers were in the corner with the protesters. Joe Biden and Bob Gates had misgivings about appearing to push out a long-time partner and the signal that would send. Hillary saw the former point of view, but shared the latter concern. It was clear, however, that, important as his partnership for peace had been, Mubarak’s autocracy could not continue to be tolerated as events in Tahrir Square spiraled into violent confrontations. Long-term stability rests on responding to the legitimate needs of the Egyptian people, and that is what we want to see happen … peaceful, orderly transition to a democratic regime…. Communications with Egyptian officials were over the phone. She told Foreign Minister Gheit that elections were going to be necessary. He told her that Mubarak remained defiant and refused to resign. 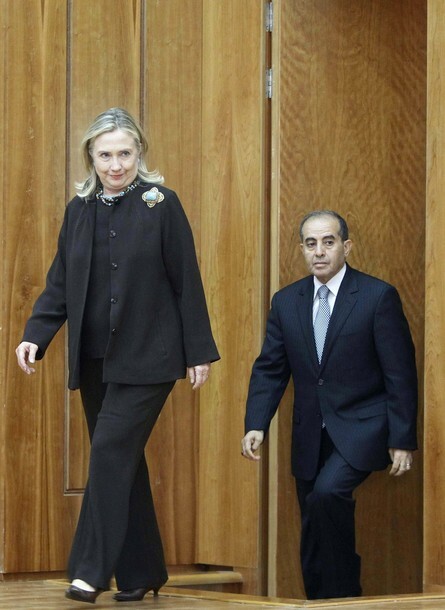 Hillary rcommended an envoy (Foreign Service verteran Farnk Wisner was chosen) and a package deal for Mubarak. Agree not to set up his son Gamal as successor. The military issued a statement that it would not move on citizens while Mubarak made some concessions, but they were small, not major, and too little too late. President Obama wanted change now. Secretary of State Hillary Rodham Clinton called Egyptian Vice President Omar Soliman today to convey that today’s violence was a shocking development after many days of consistently peaceful demonstrations … also underscored the important role that the Egyptian Armed Forces have played in exercising restraint in the face of peaceful demonstrations and expressed concern that all parties recommit themselves to using only peaceful means of assembly. Hillary proceeded to the Munich Conference. How do we offer support to Egypt for its transition to a pluralistic democracy? How do we make sure that there is not greater instability? … part of what we have to do is to send a consistent message supporting the orderly transition that has begun, urging that it be not only transparent and sincere, but very concrete, so that the Egyptian people and those of us on the outside can measure the progress that is being made. … it is our hope that this proceeds peacefully, that it proceeds with specific goals being achieved, so that people can see that their voices have been heard, and that there be an election with international observers and with sufficient preparation and performance that it will be viewed as free, fair, and credible when it is finally held. Gheit, meanwhile, submitted to an interview on PBS voicing his government’s (i.e. Mubarak’s) attitude toward commentary from the U.S. QUESTION: On Egypt, before we get into the – have you seen the interview that Foreign Minister Aboul Gheit has done with PBS? MR. CROWLEY: I have not. I’m aware of it. I think our friend and colleague, Margaret Warner, was there today. QUESTION: Yeah. In that interview he’s pretty angry about what he regards as interference in U.S. – in the U.S. trying to – the Administration trying to dictate to the Egyptian leadership how and when they should do this transition. Do you – what do you make of those comments? MR. CROWLEY: Well, I haven’t seen them, so I’m reluctant to comment specifically. I think from our standpoint, what’s important here is not how we view things. We’re not trying to dictate anything. As we’ve said and emphasized many times, there will be an Egyptian solution and Egyptian actions within this orderly transition. But it’s important that what Egypt does do is seen as credible in the eyes of the Egyptian people. And it’s our view that what they’ve put forward so far does not meet that threshold. Hosni Mubarak stepped down on February 11 and did not leave the country. “I will die in Egypt,” he stated. About a month later, Hillary visited Tahrir Square. To see where this revolution happened and all that it has meant to the world is extraordinary for me. It’s just a great reminder of the power of the human spirit and universal desire for human rights and democracy. It’s just thrilling to see where this happened. She met with students and activists interested to hear their plans. They had none, were disorganized, argumentative, very inexperienced politically, and showed no interest in organizing a platform. She asked if they had considered forming a political coalition joining together on behalf of candidates and programs. She was met with blank stares and left fearing they would just turn the country over to the Muslim Brotherhood which, of course, is exactly what they did. When she returned to Cairo in July 2012 she found the streets again filled with protesters – against her. Egyptian police did nothing to help her Diplomatic Security hold the crowds back. She could hear the anti-American chants 12 floors up in her hotel room. Despite the protests she insisted upon keeping to the itinerary and proceeding to the flag-raising event in Alexandria where, stateside, we heard that her car had been pelted with shoes and tomatoes. It was a little closer and more unsettling than what we were told. Her State Department spokesperson, Toria Nuland, was hit in the head with a tomato as they were leaving the event and being escorted very close to the angry crowd. When Hillary’s door closed, a man pounded a shoe against her window. No one was injured, thank heaven, but it was not for any assistance from Egyptian security. On my visit to Egypt yesterday and today, I told people I wanted to listen more than talk. I wanted to hear firsthand the concerns, the issues, the aspirations that could be represented to me both by officials as well as citizens. People want to know and are vigorously debating this among themselves, as you know so well, what this democratic transition occurring in Egypt will be like. Where will it lead? I have come to Alexandria to reaffirm the strong support of the United States for the Egyptian people and for your democratic future. Yesterday in Cairo, I spoke about the immediate questions that you are facing. The Egyptian people have every right in this new democracy to look to their leaders to protect the rights of all citizens, to govern in a fair and inclusive manner, and to respect the results of elections. Earlier today, I met with members of Egypt’s Christian community, with a number of women leaders and advocates, and with young entrepreneurs who want to demonstrate that Egyptian young people are just as innovative and successful as young people anywhere. They have legitimate concerns…. Democracy is not just about reflecting the will of the majority; it is also about protecting the rights of the minority. The Morsi government failed the inclusion test, was removed by the military a year after that visit, and Egypt continues to lack credible democratic institutions in Hillary’s assessment. Jordan’s King Abdullah managed to stay ahead of the wave with credible legislative elections and a crackdown on corruption. One problem for Jordan after the fall of Mubarak was energy. Natural gas pipelines providing about 80% of Jordan’s energy needs were often attacked and the flow interrupted. Over a private lunch with the king at the State Department, Hillary suggested working out trade deals with Iraq and Israel. In 2013 an agreement with Iraq was signed and another with Israel in 2014. Crisis averted. Bahrain, Qatar, Kuwait, Saudi Arabia, the United Arab Emirates, all partners of ours, are members of the Gulf Cooperation Council initiated by Hillary as secretary of state. They formed a complex web. Hillary found negotiating with them over human rights issues most ticklish but provides a lesson in diplomacy when she explains that some issues require a soapbox while others are better addressed privately. You solve it. We will say nothing. It was an effective approach to some issues that arose. She advocates different responses for different situations. She (and her entourage ) received a welcome fit for a queen in Saudi Arabia in 2010, but women’s issues there were prickly. I am a graduate of a women’s college, Wellesley College, outside of Boston, Massachusetts, and I know how rewarding it is to be a member of this kind of community, where young women are the focus of attention, where our interests are identified, recognized, and nurtured, and where the friendships that you make and the lessons that you learn will enrich your lives long after you graduate. QUESTION: … does the prospect of Sarah Palin one day becoming president maybe terrify you? (Laughter.) And if so, would you consider emigrating to Canada or possibly even Russia in the event of this happening? 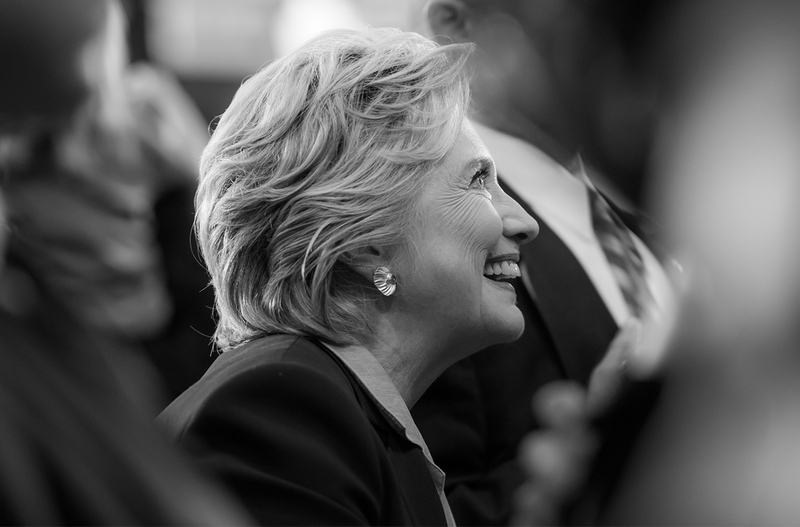 SECRETARY CLINTON: (Laughter.) Well, the short answer is no – (laughter) – I will not be emigrating. By the next year, the Arab Spring had spread to the Gulf. In March 2011 the issue was unrest in Bahrain and UAE and Saudi Arabia had sent security forces over the border without consulting … anybody. Yemen was also in turmoil. FOREIGN MINISTER ABDULLAH: Well, the Bahrain Government asked us yesterday to look at ways to help them to defuse the tension in Bahrain, and we have already sent roughly around 500 of our police force, who are there. The Saudis are there as well. The Bahrain crisis and Saudi-UAE intervention was an issue. 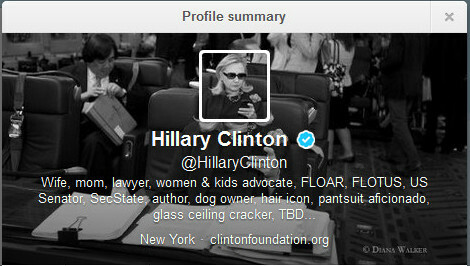 SECRETARY CLINTON: Well, they are on notice as to what we think. And we will intend to make that very clear publicly and privately, and we will do everything we can to try to move this off the wrong track, which we believe is going to undermine long-term progress in Bahrain, to the right track, which is the political and economic track. I also had the opportunity to engage today with my Arab counterparts, including Foreign Minister Zebari of Iraq representing the presidency of the Arab Summit, Secretary General Amr Moussa of the Arab League, Prime Minister Hamid bin Jasim of Qatar, Sheikh Abdallah bin Zayid of the UAE, Foreign Minister Fassi Fihri of Morocco, and Foreign Minister Judeh of Jordan. We also had a constructive discussion on Bahrain. We have a decades-long friendship with Bahrain that we expect to continue long into the future. Our goal is a credible political process that can address the legitimate aspirations of all the people of Bahrain, starting with the Crown Prince’s dialogue, which all parties should join. With all of these partners, we have discussed the urgent humanitarian needs arising from the crisis in Libya. I thanked the Arab leaders for their generous contributions to aid refugees fleeing Qadhafi’s violence, and we agreed that this will be a critical concern in the days ahead. Egypt and Tunisia, in particular, will need all of our support. The United States has made significant pledges of assistance, and we look to all our allies and partners to join us in this work. Why does America promote democracy one way in some countries and another way in others? Well, the answer starts with a very practical point: situations vary dramatically from country to country. It would be foolish to take a one-size-fits-all approach and barrel forward regardless of circumstances on the ground. Sometimes, as in Libya, we can bring dozens of countries together to protect civilians and help people liberate their country without a single American life lost. In other cases, to achieve that same goal, we would have to act alone, at a much greater cost, with far greater risks, and perhaps even with troops on the ground. As a country with many complex interests, we’ll always have to walk and chew gum at the same time. It was more complex, of course than walking and chewing gum. It was more like keeping a dozen plates spinning on sticks, but the different approaches to different situations strategy was effective. We urge all parties within Yemen to refrain from violence and to move swiftly to implement the terms of the agreement in good faith and with transparency — including credible presidential elections within 90 days. Today, Sheikh Hamad and I had a productive and wide-ranging discussion about the path forward. We spoke about the importance of helping Libya complete its transition from an armed revolution to a peaceful, unified, and orderly democracy under the rule of law. We discussed Yemen, where Qatar is working as part of the Gulf Cooperation Council to ensure that all parties honor their commitment to take part in a peaceful transition to democracy. We also spoke about the importance of responding to people’s economic needs. So many of these revolutions and uprisings that we have seen were rooted in the economic grievances that people had – not enough jobs, not jobs that paid an adequate wage for a family, too much corruption, and so much else. And we are working together to assist countries to provide more economic change for their people. As Yemen unraveled into violence last year, this Security Council stood behind the efforts of the Gulf Cooperation Council and Yemeni stakeholders to find a peaceful solution. In the face of setbacks, we held firm. 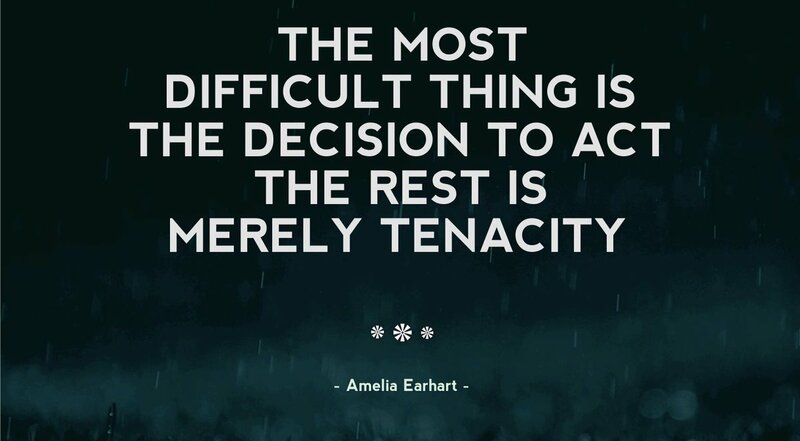 Now many challenges lie ahead. But last month’s successful presidential election and inauguration were promising steps on the path toward a new, democratic chapter in Yemen’s history. 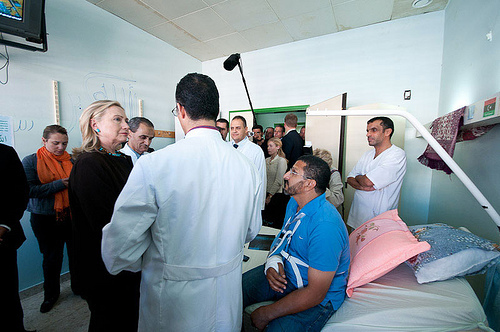 Hillary ends this chapter in post-revolution Tunisia, now markedly changed, where a question at a town hall with students highlighted an issue that certainly backlit all of our dealings with partners during the turbulence of the Arab Spring: that of trust in the face of compromise. QUESTION: I think that there exists among many young people in Tunisia across the region a deep feeling of mistrust towards the West in general and the United States in particular. And many observers partly explain the surge of extremism in the region and in Tunisia by this skepticism. And even among the mainstream of moderate and pro-Western youth, there is a sense of despair and fatalism when it comes to the possibility of building a real and lasting partnership that is based on mutual interests. So is the United States aware of this issue? And how do you think we can address it? 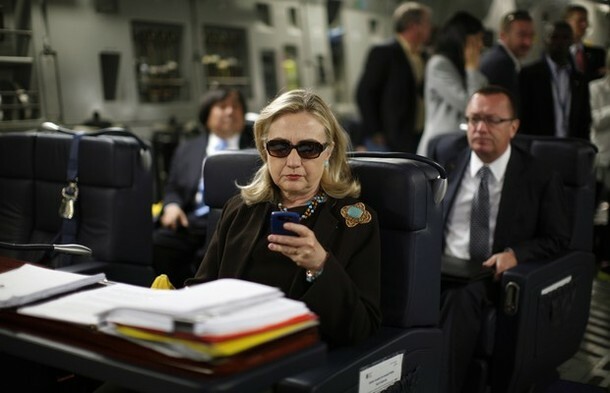 SECRETARY CLINTON: Yes. I can speak for both President Obama and myself. We are aware of it. We regret it. We feel that it doesn’t reflect the values or the policy of the United States. And there are several reasons as we understand them. Some people say, well, you supported the prior regimes in these countries. Well, those were the governments. If you’re a government, who do you deal with? You deal with the governments that are in place. And yes, we did. We dealt with the governments that were in place, just like we deal with the governments elsewhere. I will be the first to say we, like any country in the world, have made mistakes. I will be the first to say that. We’ve made a lot of mistakes. But I think if you look at the entire historical record, the entire historical record shows we’ve been on the side of freedom, we’ve been on the side of human rights, we’ve been on the side of free markets and economic empowerment. And that is where the bulk of the evidence, in my view, rests. You said you were a lawyer? (Laughter.) I used to be one. (Laughter.) So I think we can make a very strong case, and that’s what we’re doing, and that’s one of the reasons why I’m here, to do it in person. This chapter demonstrates a great deal about how Hillary Clinton thinks and approaches problems and conflicts. Versatility, flexibility, the ability to multitask are key. No single situation is clone of another, therefore one-size-fits-all approaches are doomed to fail. In any conflict of any kind, true settlement will never fully satisfy either side. Compromise, the ability to effect it and to accept it are also key. These are the lenses through which Hillary Clinton looks at issues. This point of view informs her path. She places her camp chair in the center and surveilles the theater of operations with an eye to finding solutions that mutually benefit the parties. This is what makes accusations of extremism about her nonsense. She never puts that chair in an extreme spot. She knows you do not get the clearest view from there. 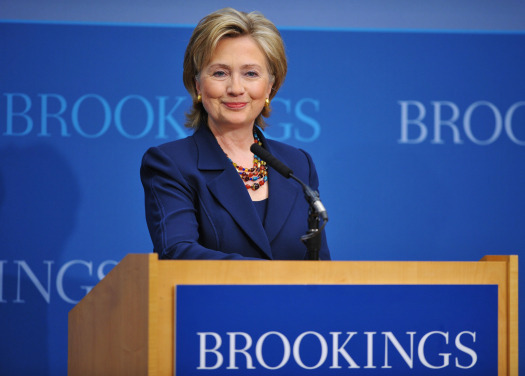 Hillary Clinton’s ‘Hard Choices’ Retrospective Part Four Chapter 13 Africa: Guns or Growth? 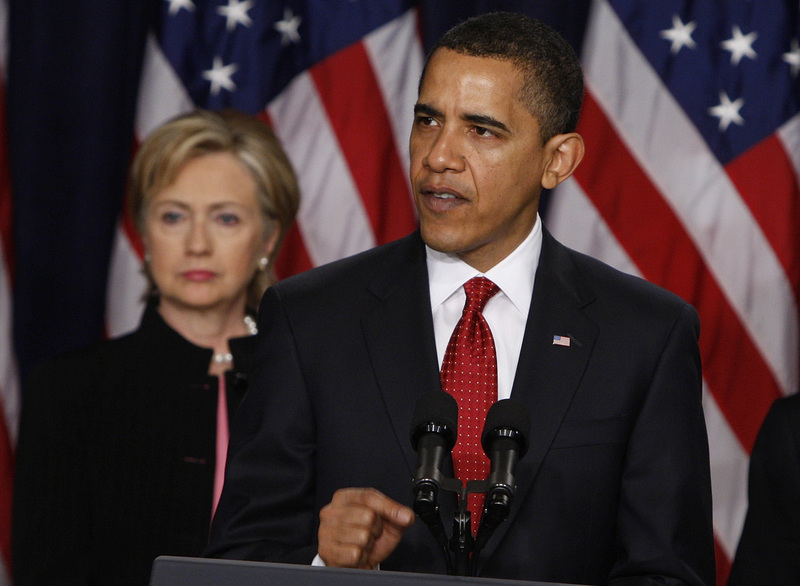 Hillary Clinton describes the Obama Administration’s Africa policy in typical Hillary fashion as resting on four pillars. China, as we know, is heavily invested in Africa. Her description of that relationship as one of exploitation of natural resources in exchange for glitzy structure and infrastructure that benefits them and excludes local labor. Her concern is the damage being inflicted by some foreign investment. She quotes her remark to a TV interview question in Zambia in June 2011. … our view is that over the long run, investments in Africa should be sustainable and for the benefit of the African people. It is easy – and we saw that during colonial times – it is easy to come in, take out natural resources, pay off leaders, and leave. And when you leave, you don’t leave much behind for the people who are there. You don’t improve the standard of living. You don’t create a ladder of opportunity. We don’t want to see a new colonialism in Africa. We want, when people come to Africa and make investments, we want them to do well, but we also want them to do good. We don’t want them to undermine good governance. We don’t want them to basically deal with just the top elites and, frankly, too often pay for their concessions or their opportunities to invest. She mentions this speech where she spoke of sustainable partnerships that add rather than subtract value. On the subject of the disturbing downward trend in electoral democracies on the continent she refers to a speech in 2011 at African Union Headquarters where she warned African leaders that the Arab Spring could spread. We wondered, viewing the video, why she was speaking in the dark. It turned out that there was a power outage that occurred while she spoke that might have been a coincidence. It is a message that older, entrenched leaders do not want to hear. Hillary remarks upon the reluctance of some of these leaders, often seen as liberators from colonialism, to cede power. The phenomenon is endemic on the continent. She delivered a similar message to Arab elders at Forum for the Future in Morocco in November 2009. Neither was that audience particularly receptive to the message of inclusiveness. The Arab Spring was a reaction to policies that she knew then, through her interactions with civil society in Arab countries, would boil over sooner or later boil over. A look at the slideshow in this post speaks more than 1,000 words. Putting forth the example of a grassroots Senegalese movement effectively defeating Abdoulaye Wade in their 2012 election, she posits that democratic change is possible in Africa and quotes further from her sustainable partnerships speech in Dakar. I know there is sometimes an argument that democracy is a privilege belonging to wealthy countries, and that developing economies must put economic growth first and worry about democracy later. But that’s not the lesson of history. Over the long run, you can’t have effective economic liberalization without political liberalization … the United States will stand up for democracy and universal human rights, even when it might be easier or more profitable to look the other way, to keep the resources flowing. Not every partner makes that choice, but we do and we will. 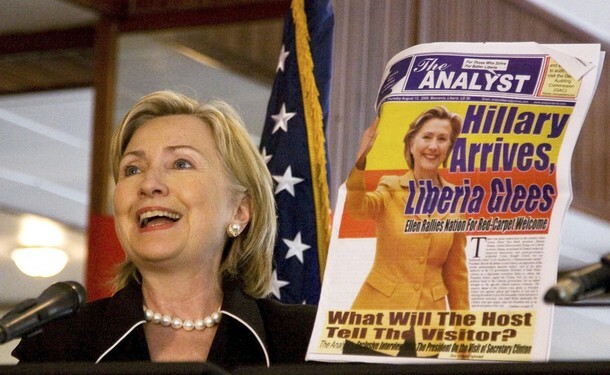 Liberia, today so unfortunately stricken with the ebola epidemic, stands as a shining example of democracy in Africa as Hillary points out that former enemies on the field of battle now sit side by side in the legislative chambers. Some of you have seen a film that tells the story of a Liberian woman’s efforts to end the war. Tired of the killing and the conflict, she organized women at her church and then other churches and in mosques until thousands of Liberian women had joined a vocal, public movement demanding peace … These were women who woke up one day and said, “Enough, enough. We’re better than that … I know that the suffering of the people of Liberia has been broad and deep. But now, you each have a chance, both personally and publicly through your service here, to make a stand against the past and for a future that is worthy of the sacrifice and the suffering that went on too long. The United States is proud to support you. Her 2009 visit to Kenya comprised several important speaking engagements to which she refers: The AGOA Forum (Clinton administration legislation), a “townterview” with Fareed Zakaria, a visit, with Agriculture Secretary Tom Vilsack, to an agricultural research institute, and the usual ministerials. Students greeted her with signs reading “corruption-free zone.” At this event Hillary shared the stage with Nobel Peace Prize winner Wangari Maathi who led a reforestation movement in Kenya. The issue of natural resources being decimated arose. You may recall that in her very lengthy confirmation hearing before the Senate Foreign Relations Committee, Hillary was asked a question about natural resources in Africa (it might have come from John Kerry, but I am not certain). 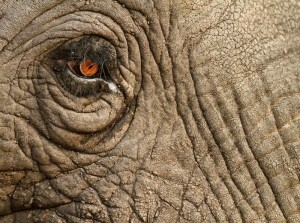 Immediately she responded that “Botswana comes to mind.” Here she shared the same example. Botswana’s national trust fund has reinvested profits from its resources into the population and infrastructure with such success that both the Peace Corps and USAID pulled out of the country since their help was no longer needed. Hillary credits Botswana’s Five Ds for the success: Democracy, Development, Dignity, Discipline, Delivery. Well-intentio9ned as they were, she notes that U.S. (and other) gifts of foodstuffs undercut the market for indigenous agricultural products. She points to the Feed the Future Program as one that supports local produce and addresses the challenge of transportation. She also met with President Kibaki, Prime Minister Odinga, and the cabinet. There was tough talk, to which she refers, in this meeting but no transcript from the State Department. The agreed-upon shared power in the government was not going smoothly. Her subsequent words with Foreign Minister Wetangula provide some insight into the tone she adopted, however. The United States worked hard last year with Kofi Annan and the team of African Eminent Persons to support the Kenyan people to resolve the crisis that afflicted this country. Unfortunately, resolving that crisis has not yet translated into the kind of political progress that the Kenyan people deserve. Instead, the absence of strong and effective democratic institutions has permitted ongoing corruption, impunity, politically motivated violence, human rights abuses, and a lack of respect for the rule of law. These conditions helped fuel the post-election violence, and they are continuing to hold Kenya back. The reform agenda agreed to by the coalition government and discussed in the speech that President Kibaki and Prime Minister Odinga gave this morning must be fully implemented not just to avoid a repeat of the previous crisis or worse, but more importantly, to set the stage for a better future, a future worthy of the dynamic people of this country, a future of economic growth, democratic development, social justice, and the opportunity for every Kenyan child to live up to his or her God-given potential. I wanted the leaders to know that we respect greatly the way that the Kenyan people pulled their country back from the brink of disaster once, and the ongoing connection between the private sector, civil society, and the government that is the key to resolving these issues. Hillary’s description of her visit to Democratic Republic of Congo (DRC) in summer 2009 is a contrasting patchwork of horror and hope. She begins with her visit, with NBA star Dkembe Mutombo to the pediatric unit he built and named for his mother. There were so many bright and lovely moments on this first official State tour of Africa. Most of those were, sadly, not covered by the media, but no one missed the “snap in the Congo.” In an atmosphere that Hillary describes as sour with an air of sullen resignation in a stuffy auditorium at St. Joseph’s School. everyone saw her lose patience with a question, remove her earbuds, and tell a student at a town hall that she would not be channeling her husband. In the book, she explains that the student came to her after the event, apologized, and explained that he had not meant to ask her President Clinton’s opinion but rather President Obama’s. Goma is one of the the grimmest, most dangerous places on earth, especially for women. Hillary tells of her visit there and the spirit she encountered among the residents of the refugee settlement she visited. She says she witnessed the worst and the best of humanity there. She was inspired to chair a U.N. Security Council meeting the next month on the subject of sexual violence in conflict regions. Hillary turns at this point to her visit to Africa’s and the world’s newest country, South Sudan in August 2012 when a standoff between the breakout state and Sudan from which it had seceded was festering. South Sudan had oil and Sudan had the ports and refineries. Clearly some kind of cooperative agreement would benefit both, but South Sudan had shut down the pipeline to the North. The surface issue was fees charged by Sudan to transport and process the oil. Hillary used an Op-Ed by one of President Kir’s former comrades-in-arms, Bishop Elias Taban, once a boy soldier. Below the surface, the dispute rested on old battle wounds. Hillary told him “a percentage of something is better than a percentage of nothing.” Taban’s words moved Kir to accept a compromise. By 2:45 the next morning, the oil flowed again. Hillary writes that South Sudan’s future remains uncertain, and indeed, while this post was being assembled the State Department issued this statement. Bishop Taban, who provided the instrument that convinced President Kir to budge was her guest at last year’s Clinton Global Initiative where she presented him with the Global Citizen Award. She reviews Somalia’s war-torn, terror-ridden history and our efforts to assist through several U.S. administrations. In August 2009, the president of the transitional government traveled to Nairobi to meet with her. She wondered if he would shake her hand, and he did so very enthusiastically which was a very big deal all around. They met again for a final time in their respective official positions in August 2012. A new president was elected the next month. At a military base in Uganda, U.S. Special Operations advisors showed her a surveillance drone used in the search for Joseph Kony chief of the Lord’s Resistance Army and elements of Al Shabaab. She notes that it resembled a child’s toy. She mentions the September 2013 attack by Al Shabaab on a shopping mall in Nairobi that killed Elif Yavuz who worked for the Clinton Health Access Initiative which battles HIV/AIDS and other health challenges. In the struggle to conquer HIV/AIDS on the continent, the President’s Emergency Plan for AIDS Relief (PEPFAR) begun by George W. Bush plays a major role. She recalls this event in Johannesburg in 2009 where she was accompanied by Eric Goosby, the State Department’s Global AIDS Coordinator, her Congressional Representative, Nita Lowey, and the late, Honorable Donald Payne who was a friend of this blog. 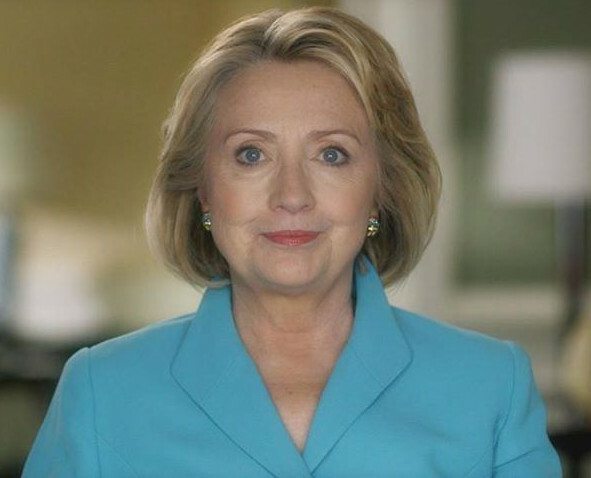 Hillary declared a goal of an AIDS-free generation on World AIDS Day 2011. 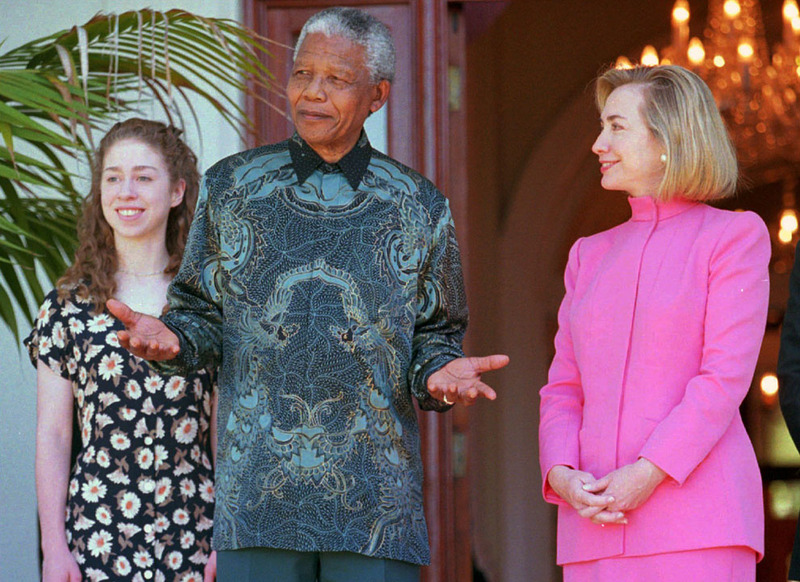 Hillary begins drawing this Africa chapter to a close in South Africa around Nelson Mandela beginning with recollections of her visits to South Africa as First Lady, the second time bringing Chelsea with her. A lifetime friendship ensued. One working relationship that brought many smiles over the years was her friendship with South African Foreign Minister Maite Nkoana-Mashabane. She gave parties for Hillary on both of her visits. 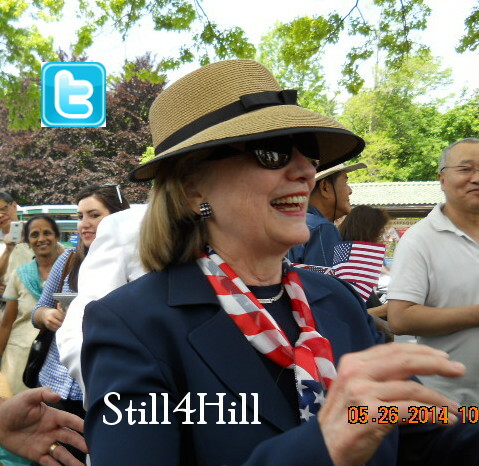 There was a rare snowfall on Hillary’s last visit and she was called ‘Nimkita’ – one who brings the snow. Hillary led a delegation of business leaders to this summit. Our friend Grace Bennett of Inside Chappaqua accompanied Hillary’s traveling press on this trip, and Hillary called her over to meet Maite. There was one last visit to Nelson Mandela. She refers to these closing remarks in this speech. It’s a burden being an American or a South African, because people expect you to really live up to those standards. People hold us to a higher set of standards, don’t they? And we owe it to all who came before, all who sacrificed and suffered, to do our very best to keep working every single day to meet those standards. But we mostly owe it to our future. Many things have changed since Robert Kennedy came to Cape Town and Nelson Mandela left Robben’s Island. But some have not. The world we want to build together still demands the qualities of youth and a predominance of courage over timidity. So in that spirit, let us work together so that the values that shaped both our nations may also shape a world that is more peaceful, more prosperous, and more just. Hillary went on Air Force One with the Obamas and the Bushes. Bill and Chelsea went from Rio. Hillary ends this chapter with hopes for an Africa worthy of Nelson Mandela’s long walk to freedom.